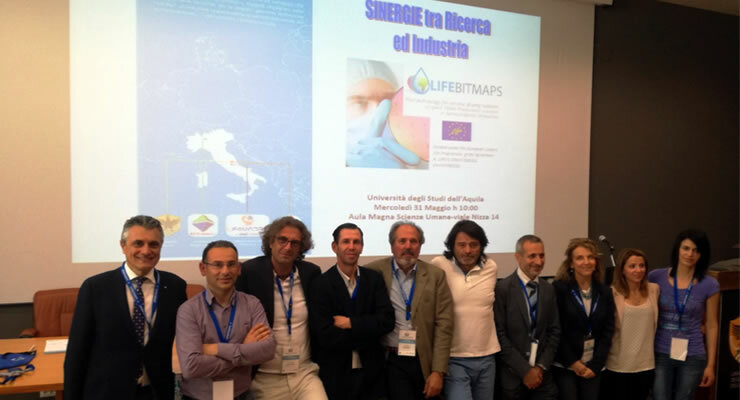 May 31, 2017 - A workshop has been organized on Wednesday May 31th by UNIVAQ (University of l'Aquila) on the LIFE BITMAPs Project "Pilot technology for aerobic Biodegradation of spent TMAH Photoresist solution in Semiconductor industries" funded by EU within the LIFE Program. The headline of the workshop was " Sinergie tra Ricerca ed Industria" (Synergies between Research and Industry). The Workshop has been an opportunity to give visibility to stakeholders of the status of the project and discuss among partners about the upcoming steps in relation to the construction of the pilot plant. 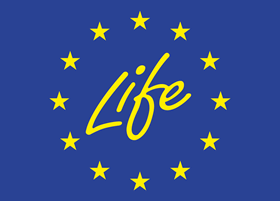 The LIFE BITMAPs project is coordinated by LFoundry S.r.l and includes as partners within a dedicated Consortium also UNIVAQ , BME (Biomaterials & Engineering Srl which is a n UNIVAQ Spin-off) and BFC Sistemi. LIFE BITMAPs includes the arrangement of a pilot plan for the degradation of complex molecules deriving from the manufacturing process of integrated circuits and images sensors produced at the LFoundry plant in Avezzano (AQ-Italy). The pilot plant will treat industrial streams by means of an innovative chemical and biological process which will avoid the disposal of actual wastes while reducing the actual amount of reagents used by LFoundry and maximizing the water recycling.